From the second floor of a low-rise building in a non-descript part of west Toronto, two of the best-known names in Canadian radio are talking about what they’re going to wear for their 25th anniversary celebration in a couple of days. Patterson, meanwhile, is thinking he might wear a “nice sweater” to the event (official name: “Humble and Fred’s 25th Anniversary Pizza Pizza party brought to you by GoDaddy.com), though not before jokingly musing about wearing mirrored shoes. Ba-dum-bum: Welcome to morning radio, Humble & Fred style. And so it goes for the next two hours, the show bearing many of the hallmarks of Humble & Fred’s ‘90s heyday on Toronto radio station CFNY/The Edge 102.1: An easy rapport between the two longtime partners (they’ve been working together since 1989), slightly off-colour humour and some general riffing on the day’s events. But where that show was nurtured and supported – its two hosts might say held in check – by a huge radio conglomerate, the 2014 edition operates on a fraction of the budget with the greater leeway that comes with not being overseen by the Canadian Broadcast Standards Council or the CRTC. Theirs is a small-scale operation that in addition to Glassman and Patterson includes another on-air personality, Eileen Ross (who Patterson describes as “another great example of a talent that was never really realized by the big companies”), producer Phil Hong and veteran sales manager Bill Herz. Patterson describes the show’s format as sitting around a table and chatting with friends, which is literally the case. On-air, the partners sit at an old dining room table that Patterson and his wife purchased shortly after they were married in 1984. Unlike their terrestrial radio days, there is no music except for the bumpers featuring the likes of the White Stripes and N.W.A. 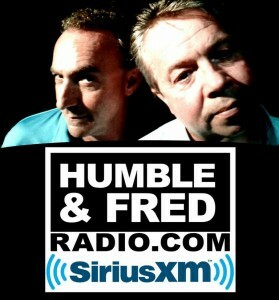 The most glaring difference, however, is that the new Humble & Fred show is being delivered online at HumbleAndFredRadio.com – where it garners up to 15,000 downloads a day – and via Sirius Satellite Radio (a censored version also appears daily at midnight on Bell Media’s Toronto AM station Newstalk 1010). Patterson is candid that the duo’s success on terrestrial radio – where Humble & Fred spent several years as the top-rated morning show in Toronto – has enabled them to achieve their current level of success, but says their ability to create a successful show on a shoestring should be a concern for the big radio conglomerates. “I don’t envy them, because they’ve invested all this money in stations and big infrastructure and big costs, and I don’t think they’re responding to it very well,” he says. 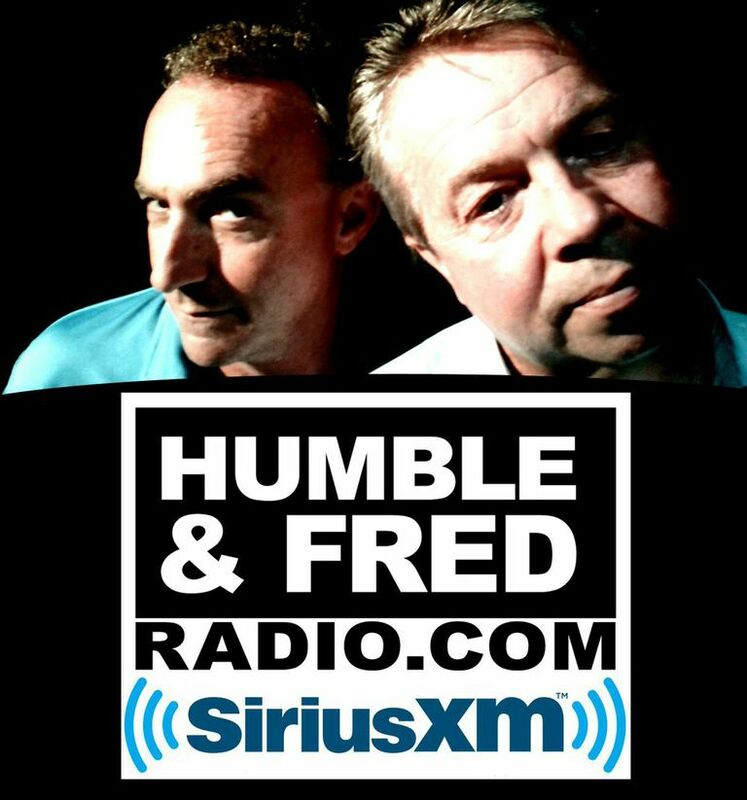 The segment closes with Magee directing Humble & Fred listeners to the Sleep Country website, where they can print off a $100 coupon that can be used towards any purchase of $500 or more. It’s all advertising of course, but woven into the fabric of the show itself. There are no commercial pods or “see-dealer-for-details” ad spiels in the new Humble & Fred show. Patterson calls it “old-time radio” for a new generation of listeners. Sleep Country Canada is one of several sponsors associated with the show, joining Pizza Pizza, Ashley Madison, Churchill Cellars, Five Hour Energy (which also has naming rights for the studio), Sunwing Vacations and GoDaddy.com, among others. Patterson credits Herz, a 35-year sales veteran with Standard Radio and Astral Radio, for helping build the show’s advertiser base. Herz was semi-retired when the show launched in 2011, but offered to help Glassman and Patterson get the new venture off the ground. There’s no rimshot, but even over the phone you can almost see the smirk crossing Patterson’s lips as he says it, still deriving pleasure from a great double entendre 25 years later.